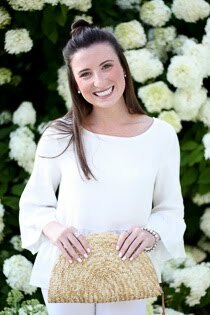 Faith and Fancy : Kate Spade Surprise Sale! 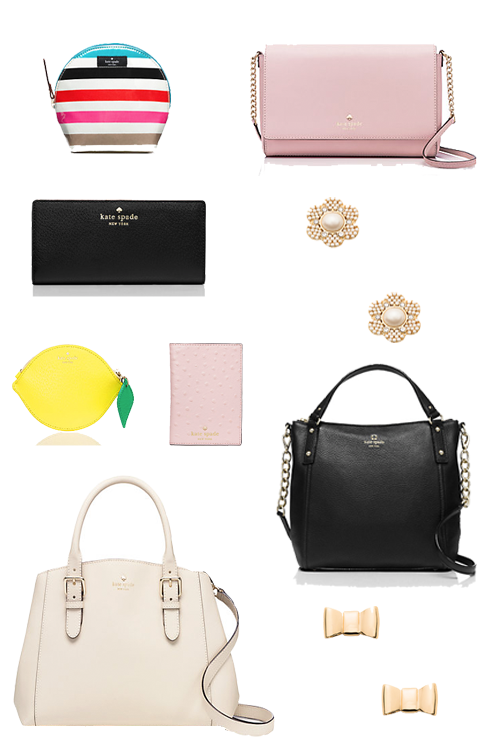 If you didn’t know already, the Kate Spade Surprise Sale is happening now! That means up to 75% off some of the best of Kate Spade - yes seventy-five percent! There are always so many great styles featured in these surprise sales, and this time around is no exception. I wanted to share some of my favorites from the sale. I'm absolutely loving both the cream and the black handbags - both are classic pieces to add to your collection. The bow and flower studs are just darling, and how adorable is the lemon coin purse! I recently bought the cross body featured below but in black, and I can't tell you enough how perfect it is when you just don't want to carry a large purse around. There are so many other great pieces featured in the sale, I highly recommend checking it out! You just cannot go wrong with these sale prices - it's the perfect time to treat yourself. And if you are still looking for a little something for that valentine of yours, this is the perfect opportunity! The surprise sale only goes until Thursday the 11th (this Thursday), so you better head over now before it's too late!